At PeachTree Place Assisted Living Community, we understand that choosing long term elderly care in Ogden and West Haven can take a toll on a family. Having to work a full-time job, finding the time and resources to care for an elderly loved one at home can be very difficult. To assist in a family’s care efforts, we offer a professional long term care solution for your family member in the Ogden and West Haven areas. When it comes to choosing long term care for a family member, you want to know that they are going to receive around the clock care and attention. Whether it is assistance to and from the shower, or special care for those suffering from dementia or memory loss, at Peachtree Place Assisted Living Community, we can help. We offer long term care solutions and provide a wide range of services to assist your loved ones in order to make life easier and more comfortable. In addition to these services, we provide your family members with a safe and secure environment. When you choose PeachTree Place Assisted Living Community as your long term care solution, you can rest assured that your elderly family members are going to be treated with dignity. 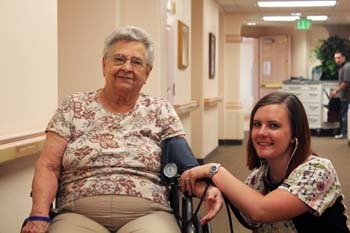 Our caring staff ensures that your loved ones are happy and always receiving the personal care and attention they need. Whether it is taking them to religious services, providing medication reminders, or addressing more serious situations that may require immediate medical attention, we will be there to provide a quick response and a helping hand. Once your loved one walks through our front doors, they become a member of our family too. We ensure that a quick response and attentive staff member are always available in the event of an emergency. If loved ones become sick or require immediate emergency care, they will receive the medical care and attention they need immediately. 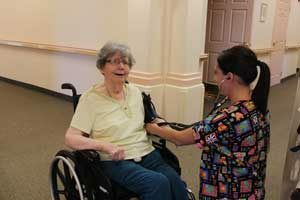 Under the direction of our registered nurses, we can provide medication administration, dressing and bathing assistance, and toileting care, all in our safe, secure long term care community. You can be rest assured that your loved ones are in good hands. If your loved ones need long term care in the Ogden or West Haven areas, please give PeachTree Place Assisted Living Community a call today. We look forward to answering any questions you have. 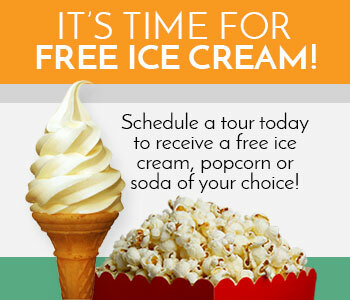 Why not schedule a tour of our facility? We look forward to meeting you and showing you why we’re the best.